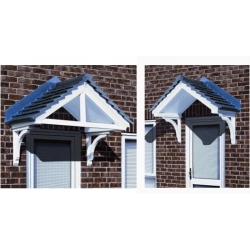 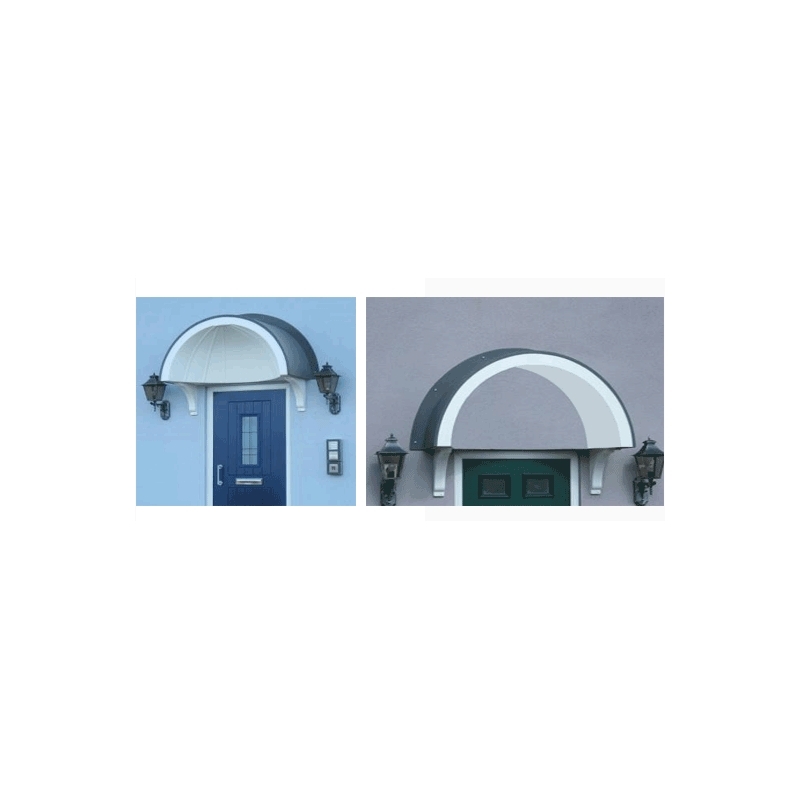 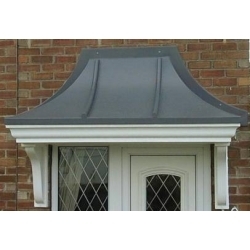 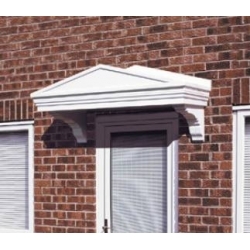 A traditional lead effect curved top canopy, available in 2 styles to compliment any door entrance. 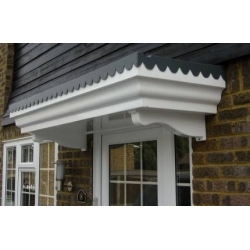 A beautiful overdoor canopy moulded in strong rigid fibreglass, designed for speed and ease of installation. 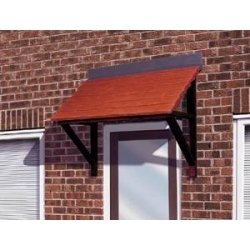 This canopy will give many years of maintenance free service, and requires only an occasional wipe with warm soapy water to keep its outstanding looks. 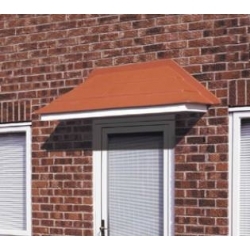 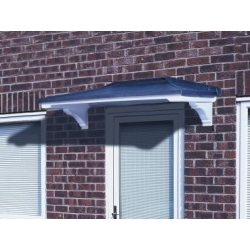 This overdoor canopy will transform and protect any doorway, and comes with our full 10 year guarantee. 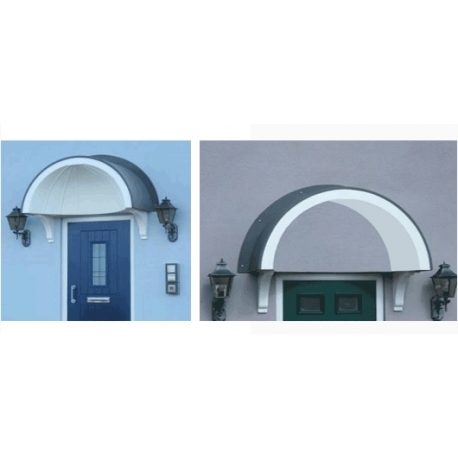 The Balmoral Shell arched lead effect canopy has a shell effect, double curved, soffit in white, brown, light oak & rosewood. 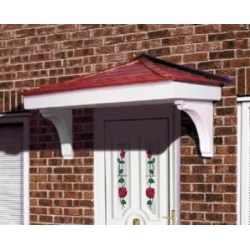 Supplied with our BRG4 brackets (as shown) to match the base in the colour of your choice. 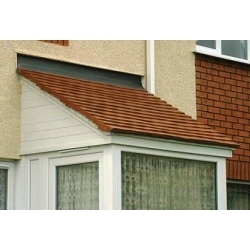 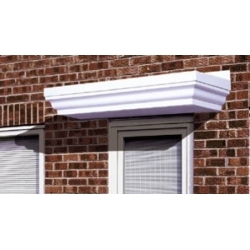 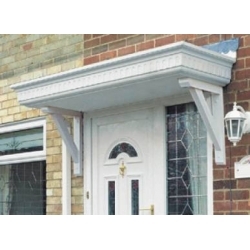 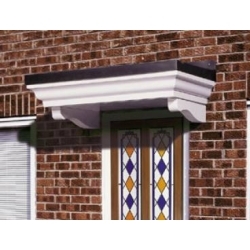 The Balmoral Plain arched lead effect canopy with a smooth curved soffit in white, brown, light oak & rosewood. 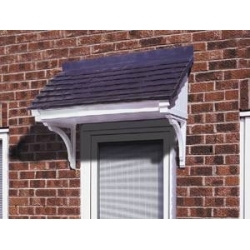 Supplied with our BRG4 brackets (as shown) to match the base in the colour of your choice. 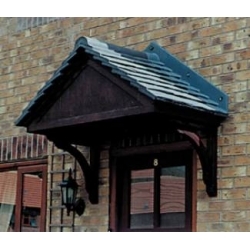 Both canopies are supplied with a comprehensive fixing kit.